The trick of using a frozen lemon and zesting the whole thing is something I picked up from my husband. He came across it, as he says, "on the computer." 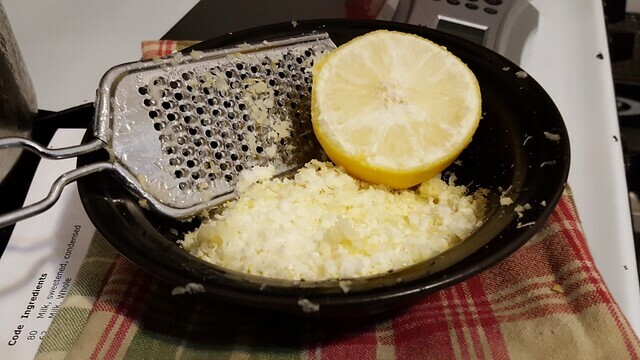 As you grind down the lemon toward the center, be sure to pick out the seeds with a fork. 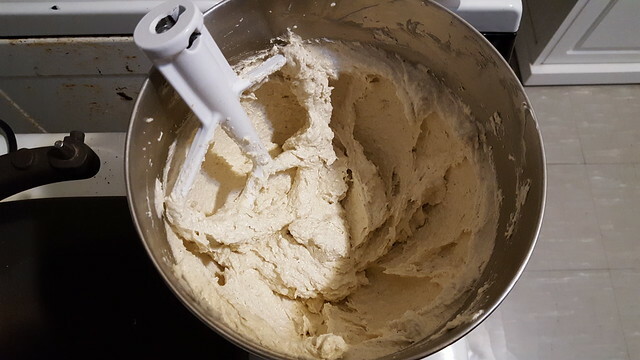 2-1/2 cups (10 oz) all-purpose flour, sifted. 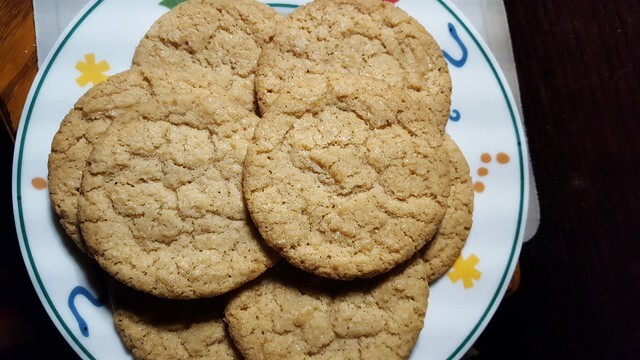 I like using white whole wheat flower for a recipe like this that has more delicate flavorings. Let the butter soften to room temperature. Zest the frozen lemon (pick out seeds, as needed) into a small bowl and set aside to thaw. 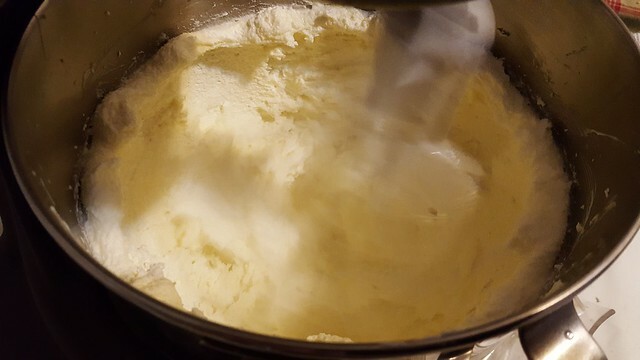 Cream the butter and sugar together at high speed until light and fluffy. Add the zested lemon, extracts, and spices. Add salt to taste, if desired. Add the baking powder and baking soda and blend well. 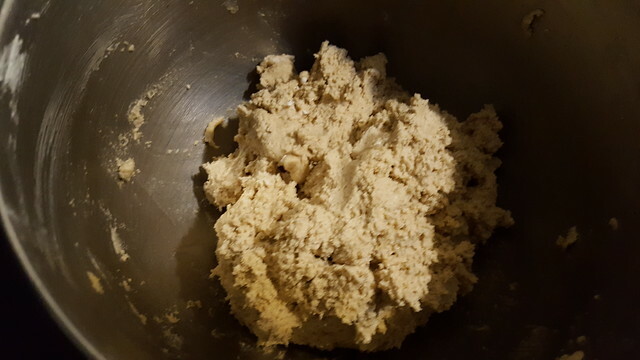 Add the sifted flour and mix until just blended together and no flecks remain. 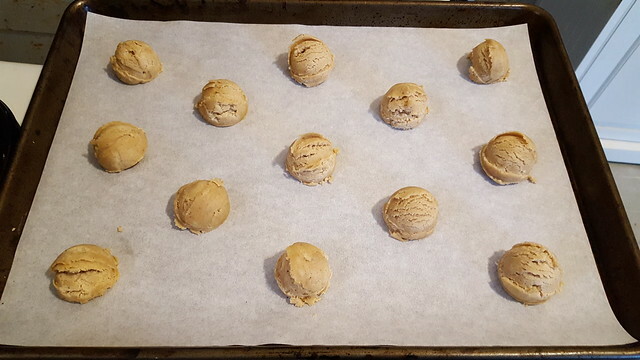 Scoop tablespoons of the chilled dough, roll lightly in sugar, and place on the parchment. Leave space between them; they will roughly double in diameter. Bake for 10 minutes until just brown on the edges. Your sense of smell is the best guide; remove them when you can just smell the sugar caramelizing. The edges should be just starting to darken. This will give you a crisp edge and chewy center. 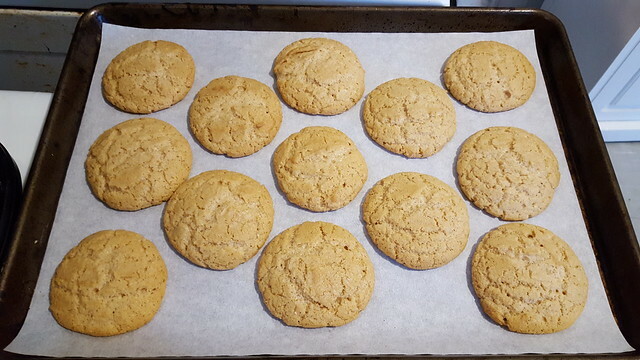 Remove the baking sheet to a cooling rack, and let the cookies cool and set up on the sheet. The original recipe by Lauren Zietsman, published on her blog "A Full Measure of Happiness," is no longer available on the Web.